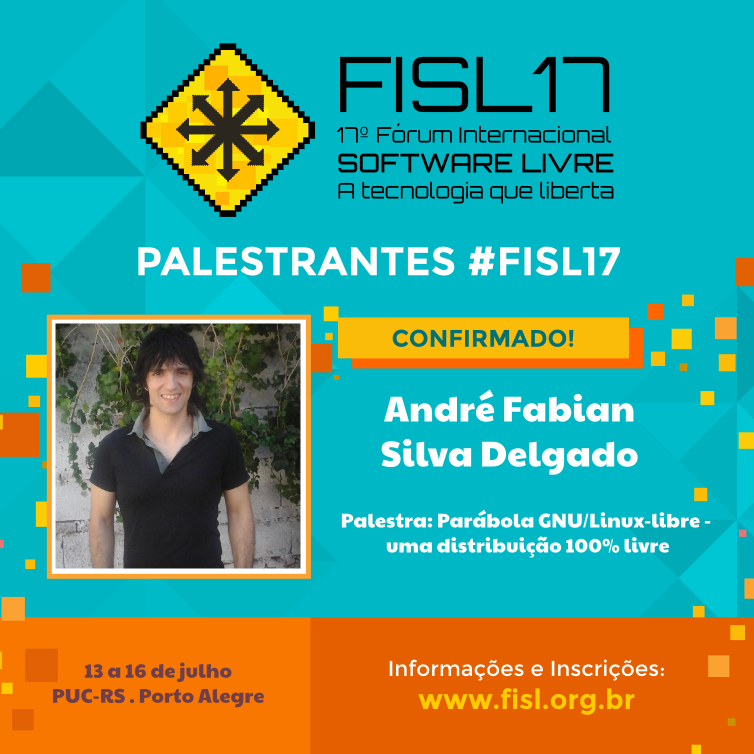 Today we're announcing that Parabola will take part in the 17th edition of FISL (Fórum Internacional Software Livre), the Free Software conference organized by Associação Software Livre in Brazil, Porto Alegre on July 13-16 2016. This year’s edition, Parabola will have its official conference at July 13, 16:00 hrs (UTC-3) in Brazilian Portuguese language. The speakers will be our Brazilian Parabola devs called André Silva (known as Emulatorman) and Márcio Silva (known as coadde). Even, Parabola will have its own stand with the participation and support of Crazytoon who is our Parabola cartoonist and made our GNU and Bola mascots! By the way, we want to thank you for the donations and support to cover our expenses for this event and our fiscal sponsor Fundația Ceata for manage our payments for hotel booking, bus tickets, etc.